Cybersecurity Featured HR Innovation Human Resources Work/Life 10 Perspectives to Digest for 2019 2019 Big Data Business cybersecurity Data privacy Diversity Equity Future of Work Inclusion Janine N. 000000000000We are entering the last year of the 2010s. If you haven’t heard about it already, the Society for Human Resource Management (SHRM) is hosting a live webcast on Friday, February 1, 2019 from 1-3p Eastern on the “ State of the Workplace ”. 2019 Politics Edition appeared first on hr bartender. When: March 19, 2019 · 11:15-11:40. When: March 19, 2019 · 11:45-12:10. When: March 19, 2019 · 12:15-12:40. When: March 20, 2019 · 11:15-11:40. When: March 20, 2019 · 11:45-12:10. When: March 20, 2019 · 12:15-12:40. When: March 19, 2019 · 14:30-15:25. You might already know what you want to accomplish by the end of 2019 and will keep those goals in mind. In 2019, the goal is going to be more about the quality of pictures (and I'm still working on making the goal more achievable). The post Dream Big at Connections 2019 appeared first on Ultimate Software's Blog. What does it take to truly dream big? If anything was possible, what would you strive for? Taking place May 6-8, 2019 in San Francisco, Visier Outsmart 2019 is the people analytics and workforce planning conference dedicated to your success as a data-driven leader. Visier Outsmart 2019 is our biggest and most exciting people analytics and workforce planning conference yet. While we've covered many of these ideas in the past, panelists were enthusiastic that 2019 was the year when many of them would come to fruition. 2019 is the future of work. 5 Culture Trends for 2019 1 The workplace is constantly evolving. approach 2019, major shifts in the work. trends for 2019. 5 Culture Trends for 2019 What’s new in workplace culture 5 Culture Trends for 2019 2 CULTURE TREND #1 – A LACK OF CONNECTION AND. At Illuminate , Reflektive’s conference by people leaders, for people leaders, Reflektive CEO Rajeev Behera shared his 2019 Outlook based on Reflektive’s work with hundreds forward-thinking people leaders. The post 3 Big People Management Trends for 2019 appeared first on Reflektive. 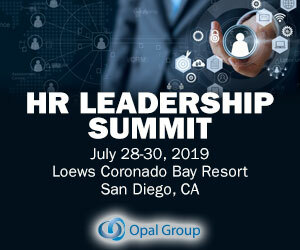 Illuminate 2019If you work in human resources, you’ve seen the rise of employee experience. The post Reflecting on Illuminate 2019: How to Empower the Modern Workplace appeared first on Reflektive. 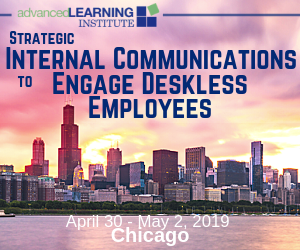 Illuminate 2019Last week, I attended Illuminate , a one-day people conference on a mission to make the manager-employee relationship better. Hosted by people management platform Reflektive , the event was filled with tactical takeaways to improve myself as a manager and contribute to the growth of cred’s culture and people. In looking ahead to 2019, what can HR professionals expect to see? For that reason, many companies will likely look back on 2019 as the year that people analytics efforts finally came to fruition. 2019 will see more HR departments relying on recruiting technology for optimization and targeting: Optimizing the entire hiring and onboarding process while targeting candidates that offer the best culture and skills fit. Welcome to the March 2019 #HR Carnival! 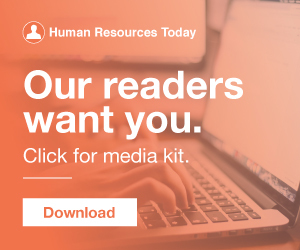 We’ve had some great submissions for this… Continue reading March 2019 #HR Carnival I’m sitting in my hotel room putting this one together from the #WorkHuman Conference! It’s also 10 pm at night and I just had dinner, so if something looks off, blame the fact that I’m usually in bed by 8pm ?? on Thursday, April 18 th , 2019. TL;DR version: DisruptHR HSV is coming back to Huntsville! See links below for details. Early bird tickets available through March 31st. ————-. It all started with an event. A real, no-kidding live event. We’ve assembled this list of top trends to help you create or refine your employee performance management strategy in 2019. Employee Performance Management In 2019. Without talented and dedicated people, a business is little more than a great idea. The post Reputation management strategies for 2019 appeared first on Qualtrics. When people look for you online, how do they see you? Are the reviews negative or positive? Does that one frivolous lawsuit stand out above all the positive comments? This year’s conference is October 1 – 4, 2019 in Las Vegas. During last year’s HR Technology Conference , one of the speakers said something that I’ve been thinking about for a while. They said that we have to not only get buy in for our ideas and projects but keep it. Totally makes sense. The research on engagement supports what most of us already know intuitively: employees are more engaged when employers value their contributions and communicate that value in specific, visible ways. Engagement matters because engaged employees are more productive workers. The spring HR & Payroll eSymposium will be held on Wednesday, May 1, 2019 from 10 a.m. Payroll Compliance Update: New Laws and Required Changes in 2019 – The requirements of the Fair Labor Standards Act (FLSA) are complex and often misunderstood by employers. employee appreciation day employee appreciation day 2019 employee appreciation Recognition recognition moments Retaining Employees retaining talentOne week to go for the official “unofficial” Employee Appreciation Day holiday - in case this is news to you its March 1 st ! As we move into 2019, organizations of all sizes are once again reviewing employee performance management strategies. Here are six trends expected to gain traction across a much wider set of organizations during 2019. The post Knowledge 2019 appeared first on PlatCore, LLC. We can’t wait to see you at Knowledge! Stop by and visit the PlatCore team, or contact us to schedule a time to meet. And this article from CNET will give you some suggestions for “ The Best Password Managers of 2019 ”. CNET also put together a directory of ID monitoring services in their article “ The Best identity Theft Monitoring Services for 2019 ”. The 2019 list of employment-related job killer bills includes various bills expanding leaves of absences, new workplace protections for medical marijuana and other bills that will increase labor costs. Track the current status of the job killer bills on www.cajobkillers.com.